High speed signals are used for inter-module communications. These signals use LVPECL single-ended format. 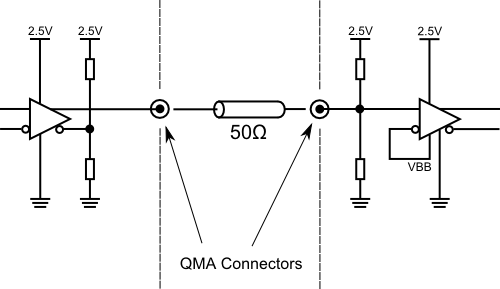 All the connections using the easy-phi high speed signals have a QMA connector on the module's frront panel. All other signals should have a different connector. For example universal input modules have SMA connectors for their inputs and QA for their output signals (standardized format).